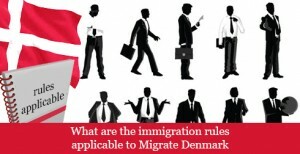 What are immigration rules to migrate to Denmark? Denmark is renowned as the happiest place in the world to reside due to certain factors including employment, health, education, welfare and many more. The country is a member of European Union and is recognized as one of the wealthiest economies in Europe. Most of the people especially Indians are interested to migrate to Denmark because of its economical features. Denmark is offering different schemes to hire skilled workers from various parts of the world. Among various schemes, Denmark green card is most preferable by people who wish to migrate to Denmark. If you are an Indian willing for Denmark migration, then you can obtain residence under Danish Green Card. The Denmark Green Card Scheme is mainly designed to draw skilled foreign nationals into the country. Under Danish Green Card scheme an individual must qualify in points based test to reside and work in Denmark. Applicants are evaluated through Denmark Green Card Points Based System and are expected to score at least 100 points to obtain residence permit. The average processing time taken for Denmark Green Card is 16 days. 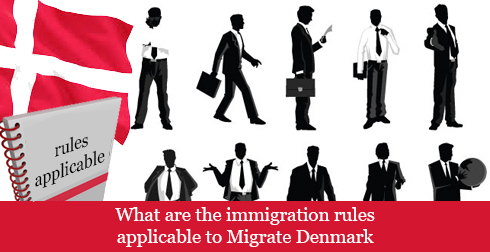 If the Danish Immigration service refers your application, then the processing time would turn to around eight weeks. You are allowed to bring your family along with you to Denmark.